We often think that we have to follow certain rules. But life is colourful, every family is different and a life with children is always a little adventure. Our new "Make a Statement" Special Editions are as different as families can be. Instead of opting for one style, our internal design team was inspired by two completely different trends from the clothing and interior sectors when developing them. The result: a cheerful, colourful Comic Fun next to a stylish, elegant Letter Design. Together a statement for more variety and individuality. Designed and printed in Germany, these special editions are also part of our very personal statement: Made in Germany - from the first drawing to the finished product. This is not only where the ideas and designs for our products are created, we also manufacture 90% of our child seats in Germany. Why do we do this? Because we want to know what's in our products and that's only possible if we keep a close eye on every production step. 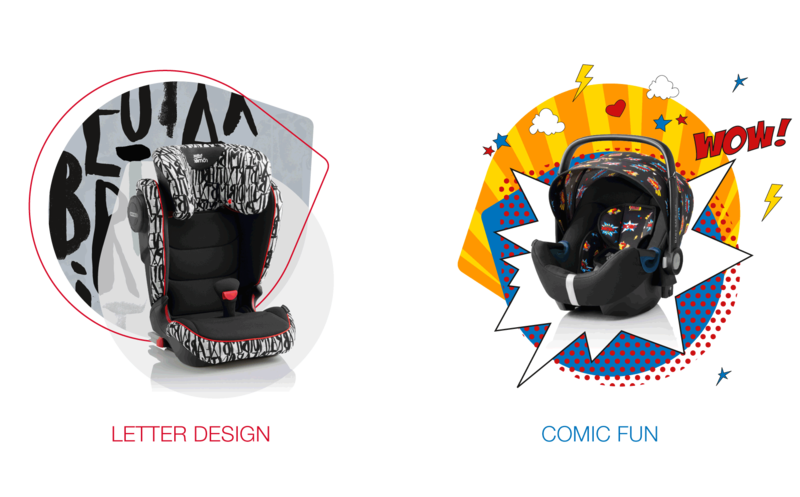 Learn more about our child seats "Made in Germany".